Get the scoop on new products and the latest offers by subscribing to our newsletter. 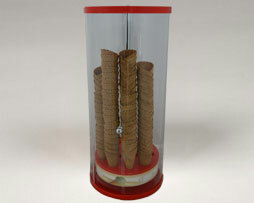 Store and keep waffle, wafer or sugar cones fresh while making them presentable with this sealed barrel cone holder. 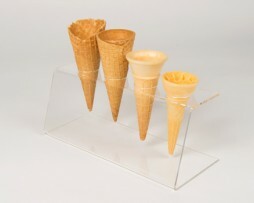 Display in your ice cream serving counter or scooping station. 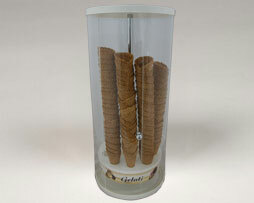 Made from high quality, durable acrylic, this sealed cone barrel is also perfect for catering functions and events. Easy to clean. This barrel securely holds 144 cones. 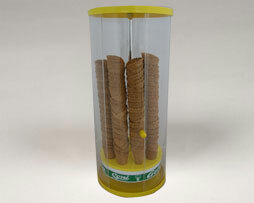 Comes in yellow, red or white colour.